Some projects are excellent for a general handyman. But when it comes to plumbing, it’s a good idea to get an insured, licensed plumber who can take care of your plumbing needs. Here are just a few of the more common home improvement jobs that that a Home Maintenance Solutions plumber can help with. Plumbing Installation: Maybe you’ve decided to finally finish that basement and it’s time to have the bathroom plumbed. Or perhaps you’ve added a bedroom onto your home and want to make your guests as comfortable as possible. No matter what new plumbing you need, the Home Maintenance Solutions plumber can install it and get it right the first time. Drain Cleaning: Drains are any of the pipes that take wastewater away before it reaches your lateral sewer line. The three most common are sink drains, shower drains, and toilet drains. Each has reasons that a plumber might have to perform drain cleaning soon: kitchen sinks are incredibly susceptible to the grease that people pour down the drain, shower drains stop because of hair clogs, and toilets stop most often because of people sending foreign objects down (most often cleaning wipes, paper towels, and personal care items). A plumber can stop by for drain cleaning and have all three of these running like new. Sewer Cleaning: Once all of your drains have combined at the lowest point of your house, it becomes your sewer line. If all of your drains are running slow, it’s most likely a sewer problem and not a drain problem. A backed up sewer usually stems from one of three problems: roots in the system, a cracked or broken sewer line, or a clogged line due to people sending foreign items down the drain. Home Maintenance Solutions will send you a plumber that can identify the problem and take the necessary steps to fix it. You already know how important plumbing is to you, so when you have a problem or are starting a home improvement project, contact HMS. 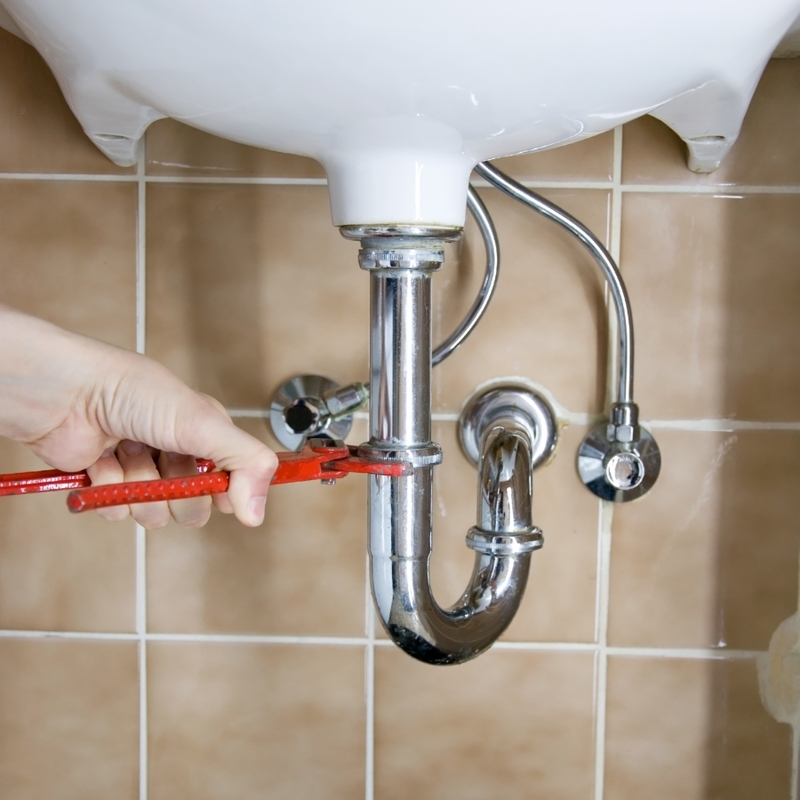 We can handle all of your plumbing needs.